**We are blown away by the overwhelming response to our Disney Princess Fan Art Contest. Many of you have reached out and enquired why the art you submitted hasn’t been posted for voting. Please know Hot Topic and Disney reserve the right to pre-approve all submitted designs before they are released to the public. While we appreciate your enthusiasm – not all submissions will be available for voting. Ariel, Belle, Tiana, Mulan, Jasmine, Rapunzel, and Merida. that's not part of this contest! Fans have the opportunity to vote for the design they would most like to buy and wear. 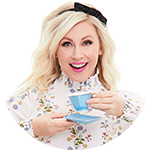 Ashley Eckstein is an Actress, Entrepreneur and Author - although she would best describe herself as an Ultimate Fangirl of all things Disney and Star Wars and would proudly tell you all about her prized Alice in Wonderland collection and love of Italian food and cupcakes. Most known as the voice of Ahsoka Tano in Star Wars, Ashley is also the Founder of Her Universe - the groundbreaking fangirl fashion company and lifestyle brand. Ashley has been widely recognized and honored as a business woman and Fangirl trendsetter. She has also hosted and starred in several TV specials, live shows, events and videos. Ashley is married to former Major League Baseball player and 2006 World Series MVP, David Eckstein. Ashley and David enjoy traveling the world, teaching kids how to achieve their dreams. They both take their love of pizza very seriously! Symantha Perrera is the Fashion Designer for Her Universe. She is a lover of all things Disney, particularly the dress making scene in Cinderella! 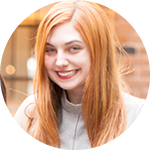 Symantha has worked as a licensed fashion designer for the last four years with experience ranging from small startups to large high fashion companies. She fills her free time with art museums, vintage clothing and yoga. Heather Laing-Obstbaum, Vice President Product Design & Development, Softlines. 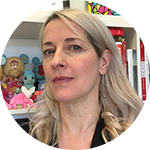 Heather has been a part of Disney Product Design & Development for over 10 years and oversees all Sotlines categories of business – including Fashion, Accessories, Home Infant, Pets and Stationery. Heather holds a degree in Fashion Design from Pratt Institute. Prior to joining Disney, she was at DLXSF and Betsey Johnson. She is a lover of all things Disney, proud pawrent to 5 rescue chihuahuas, an avid fan of tiny plastic dinosaurs and scared of zombies. Create an original piece of art inspired by Disney princesses. Explore the full story of the each individual Princess- incorporate secondary characters and environments. Disney Princesses are empowered and aspirational characters – feature them as such. This is your chance to let your Disney Princess fandom really come through. Design and illustrate around current themes or favorite icons associated with the Disney Princesses. Do not portray or refer to the Disney Princesses in a negative, derogatory, or malicious manner. Do not incorporate any other brands or product with Disney Princess; they cannot be endorsing another brand or featured with another brands. Disney Princess cannot be depicted with other Disney franchises such as Disney Pixar, Lucasfilm, or Marvel or any other Disney character. Disney Princess Fan Art Contest begins on June 20, 2018 and ends July 18, 2018. Must be age of majority or older to enter who, at the time of entry, are legal residents of and are physically located in the United States, the District of Columbia or Puerto Rico. One (1) grand prize winner will win $2,000 and no fewer than four (3) finalists will each win $300. Ten entries per person during the Contest Period. Total ARV of all prizes is $2,900. Void where prohibited. See Official Rules for additional eligibility restrictions and complete details. Sponsored by Hot Topic, Inc. d/b/a/ BoxLunch 18305 E. San Jose Ave, City Of Industry, CA, 91748 United States ("Sponsor") and administered by Fan Factory ("Administrator"). 1. CONTEST PERIOD: Submissions will be accepted starting June 20, 2018 at 12:00:00 am Pacific Time ("PT") and ending July 18, 2018 at 11:59:59 pm PT (the "Contest Submission Period"). The judging will take place beginning on: August 13, 2018 through August 17, 2018. The age of majority is 18 for all states except for: Alabama (19), Arkansas (18 or graduation from high school, whichever is later), Delaware (19), Mississippi (21), Nebraska (19), Nevada (18, or if still in high school at 18, 19 or graduation, whichever comes sooner), Ohio (18 or graduation from high school, whichever comes first), Tennessee (18 or graduation from high school, whichever is later), Utah (18 or graduation from high school, whichever is earlier), Wisconsin (18, or if still in high school at 18, 19 or graduation, whichever comes sooner), Puerto Rico (21). parents, affiliates, subsidiaries, franchisees, or service agencies (collectively "Contest Entities"); (b) individuals engaged in the development, production or distribution of materials for the Contest or engaged in the administration or execution of this Contest (all such individuals and entities collectively referred to herein as the "Contest Entities"), and (c) persons who are or purport to be immediate family members (defined as biological or step-mother, father, sister, brother, daughter, son, dependent or spouse of any of the foregoing, regardless of where they reside) of any person in any of the preceding categories, regardless of where they live, or who reside in the same household (i.e., live in the same household for at least 3 of the 12 months preceding the start of the Contest Submission Period, whether related or not) as any person in any of the preceding categories. This Contest is subject to all applicable federal, state, and local laws and regulations. Void where prohibited. Disney is not responsible for the collection, submission or processing of entries, the selection of winners, the provision or delivery of prizes, or the administration of the Contest. 3. HOW TO ENTER: During the Contest Submission Period, enter online by downloading the submission kit and digitally uploading up to ten (10) designs at http://disneyprincessfanart.fanfactoryart.com. Please click if you would like to download a submission kit. In order to submit, contestants must visit the submissions page during the Contest Submission Period and follow the on-screen instructions to upload their original artwork and complete an official entry form, including agreeing to the terms of the user generated content submission agreement ("Submission Agreement") and click the "Submit Your Design" button to complete the submission form. The uploaded original artwork together with the Submission Agreement and official entry form shall be collectively referred to as the "Entry." Only ten (10) entries per person will be accepted. All online entries must be received no later than 11:59:59 PM PT on July 18, 2018. Attempts made by the same individual to enter by using multiple e-mail addresses/social media accounts or otherwise will be disqualified. Mass entries, or entries generated by a script, macro or use of automated devices will be disqualified. Winning designs may be used on product and featured in Hot Topic/BoxLunch stores and websites. Entries that are not compliant with these Official Rules are subject to disqualification, at the sole and absolute discretion of the Sponsor and/or Disney. From August 13, 2018 to August 17, 2018, a panel of qualified judges to include representatives of the Sponsor will judge all of the eligible Entries received during the Contest Submission Period and will select up to one (1) winner and four (3) runners up based on the judging criteria described below. Judging Criteria:(each criterion is followed by its weight in parentheses) submissions digitally uploaded to http://disneyprincessfanart.fanfactoryart.com must depict the character(s) from the Disney Princesses. Submission will be judged based on (a) Creativity (25%), (b) Originality (25%) and (c) Fits the Disney Princess theme (50%). In the event of a tie, an additional, "tie-breaking" Contest Judge will determine the winning Entry based on the criteria listed herein. The grand prize winner and finalists will be eligible to win the Prizes described below subject to verification of eligibility and compliance with these Official Rules. The Contest Judges' decisions shall be final and binding. 6. PRIZE: One (1) Grand Prize and four (3) runners up prizes are available.. Prize will consist of: One (1) grand prize winner will receive $2,000; and four (3) runners up at $300 each. TOTAL APPROXIMATE RETAIL VALUE OF ALL PRIZES: $2,900. Winners are not entitled to exchange or transfer prizes or to obtain cash or other substitutes, but Sponsor in its sole discretion may substitute prizes of equal or greater value. 7. WINNER NOTIFICATION: Winners will be notified via email beginning on or about October 8, 2018 with instructions on how to be confirmed as a winner and claim their prize. Potential grand prize winner will be required to execute and return an affidavit of eligibility, a liability release, a certificate of authorship documentation assigning all rights, copyright, title and interest in the Entry to Disney (the "COA"), a W9 form, and, where imposing such condition is legal, publicity release, within the time period specified by Sponsor. Failure to complete and return any of the aforementioned documentation within the allotted time period specified by Sponsor shall result in such Potential Grand Prize Winner's disqualification from the Contest. If a Potential Winner is found to be ineligible or not in compliance with these Official Rules, declines to accept a prize, or Sponsor is unable to contact a Potential Winner within three (3) business days, or in the event that a prize notification or prize is returned undeliverable, the prize will be forfeited and, at the Sponsor's sole discretion, prize may be awarded to an alternate Potential Winner. Potential Winners may be required to furnish proof of identification. If the Potential Grand Prize Winner's entry is accepted for use by Sponsor and Disney, such Potential Grand Prize Winner hereby irrevocably, in perpetuity assigns any and all rights to the entry to Disney including all copyrights. At the time Potential Grand Prize Winner is notified that their entry has been selected as the Contest's winning entry, the Potential Grand Prize Winner agrees to execute such documents as requested of them by (including, without limitation, the COA) to effect/confirm the rights assignment to Disney. As a condition of entering, entrants (or their parent or legal guardian if an eligible minor) agree: (a) to release Sponsor, Contest Entities, Administrator, Disney, each of their affiliates, and each of their officers, directors, employees and agents, from any and all liability, loss or damage incurred with respect to participating in the Contest or the awarding, receipt, possession, and/or use or misuse of any prize or any travel related thereto. Any controversy or claim arising out of or relating to the Contest shall be settled by binding arbitration in a location determined by a single arbitrator as set forth herein (provided that such location is reasonably convenient for claimant), or at such other location as may be mutually agreed upon by the parties, in accordance with the procedural rules for commercial disputes set forth in the Commercial Arbitration Rules of the American Arbitration Association ("AAA") located at www.adr.org. The judgment upon the award rendered by the arbitrator may be entered in any court having jurisdiction thereof. The arbitrator shall be selected pursuant to the AAA Rules and Procedures. The arbitrator shall apply the laws of the State of California consistent with the Federal Arbitration Act and applicable statutes of limitations, and shall honor claims of privilege recognized at law. In the event that the claimant is able to demonstrate that the costs of arbitration will be prohibitive as compared to the costs of litigation, Sponsor will pay as much of the claimant's filing and hearing fees in connection with the arbitration as the arbitrator deems necessary to prevent the arbitration from being cost-prohibitive. If any part of this arbitration provision is deemed to be invalid, unenforceable or illegal (other than that claims will not be arbitrated on a class or representative basis), or otherwise conflicts with the rules and procedures established by AAA, then the balance of this arbitration provision shall remain in effect and shall be construed in accordance with its terms as if the invalid, unenforceable, illegal or conflicting provision were not contained herein. If, however, the portion that is deemed invalid, unenforceable or illegal is that claims will not be arbitrated on a class or representative basis, then the entirety of this arbitration provision shall be null and void, and neither claimant nor Sponsor shall be entitled to arbitrate their dispute. Upon filing a demand for arbitration, all parties to such arbitration shall have the right of discovery, which discovery shall be completed within sixty days after the demand for arbitration is made, unless further extended by mutual agreement of the parties. The prevailing party shall be entitled to an award by the arbitrator of reasonable attorneys' fees and other costs reasonably incurred in connection with the arbitration.THE ARBITRATION OF DISPUTES PURSUANT TO THIS PARAGRAPH SHALL BE IN THE ENTRANT'S INDIVIDUAL CAPACITY, AND NOT AS A PLAINTIFF OR CLASS MEMBER IN ANY PURPORTED CLASS OR REPRESENTATIVE PROCEEDING. THE ARBITRATOR MAY NOT CONSOLIDATE OR JOIN THE CLAIMS OF OTHER PERSONS OR PARTIES WHO MAY BE SIMILARLY SITUATED. DO NOT ENTER THIS CONTEST IF YOU DO NOT AGREE TO HAVE ANY CLAIM OR CONTROVERSY ARBITRATED IN ACCORDANCE WITH THESE OFFICIAL RULES. 16. For any legally required notice of the Prize Winner, send a self-addressed postage stamped envelope to: Disney Princess Fan Art Contest – Winner List Request", 18305 San Jose Ave, City of Industry, CA 91748, to be received by December 31, 2018. Winner's notice will be sent after all prizes have been awarded.